The Vibe: One of South Africa’s oldest wine estates, Boschendal played an indelible role in the history of the Cape, to which many trace their roots. Upon entering the estate, this rich sense of culture warmly welcomes you. The main visitor hub, where much of the activity takes place, is a prime example of the rustic realness that the estate retains. Despite a few recent developments and contemporary tweaks, this verdant quadrangle, edged with low white-washed walls, feels very much like a farmyard of yesteryear. 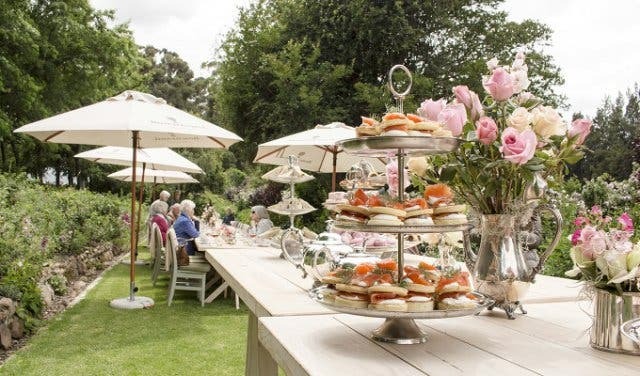 In the courtyard, chickens peck happily at your feet at the deli and ducks toddle across the sun-speckled lawns, the yeasty scent of bread rising in the on-site bakery’s oven wafts between the trunks of ancient oaks and a grand, gabled manor house, watches over the whole scene. 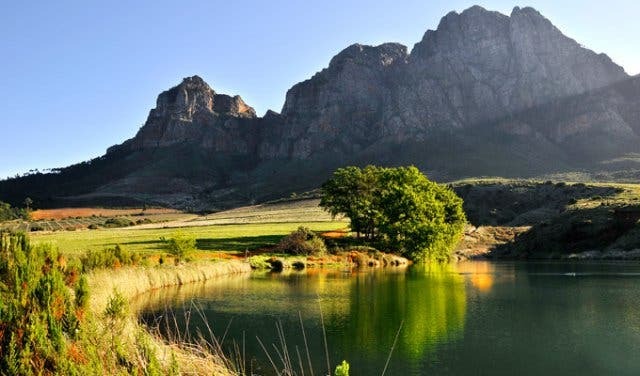 There’s a sense of simplicity and tranquillity in the fresh Franschhoek air, which opens one’s eyes to the real down-to-earth charm that the Boschendal wine farm has to offer. 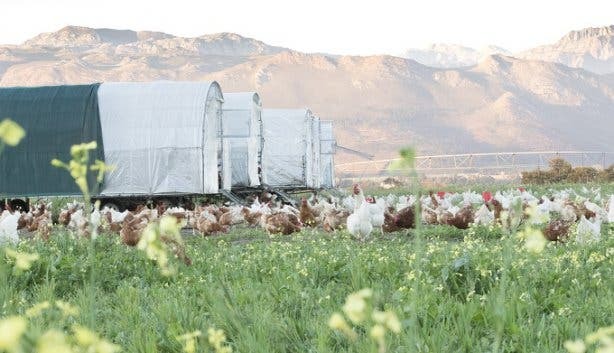 The Offerings: As far as possible, the Boschendal wine farm makes use of biological farming methods. The soil is healthily guarded and guests are encouraged to tread lightly as visitors are offered the opportunity to witness how the multifaceted farm functions. 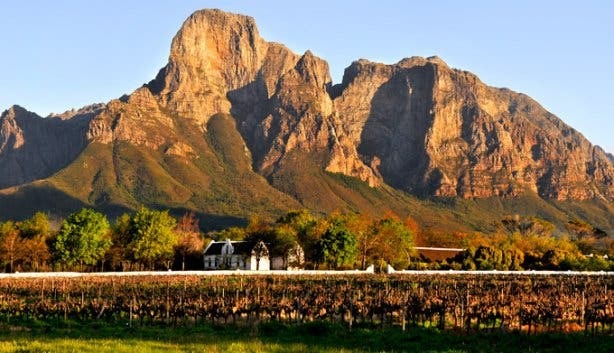 Cellar and vineyard tours are on the to-do list of this exquisite experience, and the latter treats guests to views of the whole patchwork quilt of the estate from one of its highest points. These tours create a magical experience for visitors to enjoy the final bottled products at its very source. The winery’s small tasting room sits between the gift shop (did someone say souvenir?) 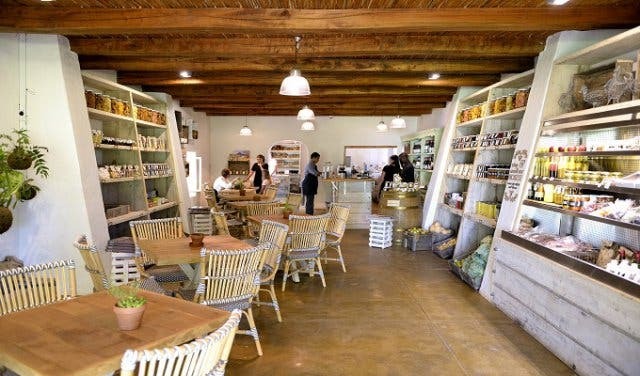 and bakery and introduces anyone who enters its doors to the unique, beautifully balanced realm of Boschendal’s reds, whites and Méthode Cap Classiques (MCC). 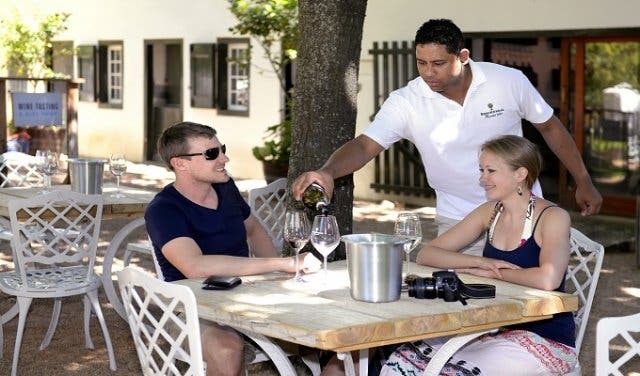 For bigger groups keen on an informative sip-and-swirl session, there is also the larger Cellar Door Tasting Centre, which is housed in the oldest building on the estate close to where the vintages are crafted and bottled. Perhaps before sipping on the perfectly aged potables, guests are encouraged to line the stomach at The Werf Restaurant with great dishes prior to a tasting. This beautiful marriage of country allure and contemporary elegance, whisks guests away to a fantastical world. Its conservatory section of the Boschendal wine estate gazes out over the beds of veggies through floor-to-ceiling windows, so guests can watch from their tables as esteemed executive chef Christiaan Campbell pops out into the greenery and plucks carrots, radishes, mushrooms and more for his salads and sides. Otherwise, if you are in the mood for a quick, casual breakfast or lunch, pop into the sunny deli instead. Housed in the old wagon shed, this family-friendly café plates hearty familiar fare – fry-ups, pastas, pies and quiches, for instance – and is home to shelves lined with freshly made jams, preserves, cordials and more. 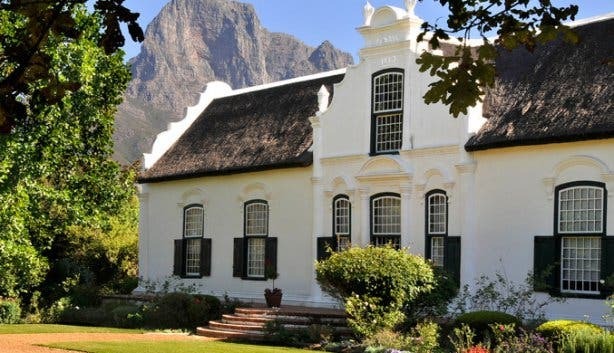 What you wouldn’t know about Boschendal Wine Farm: Boschendal is known for its rich history and the estate was granted to a Huguenot refugee Jean le Long back in 1685. Since then, it has been known for its vineyards and later its winery. Today, the grapes continues to be a major revenue earner, supplying the winery, and unbeknownst to the public, Boschendal’s plums are harvested and exported to China is the biggest chunk of the Wine Farm’s income. The team at Boschendal has diversified the farming over the years. 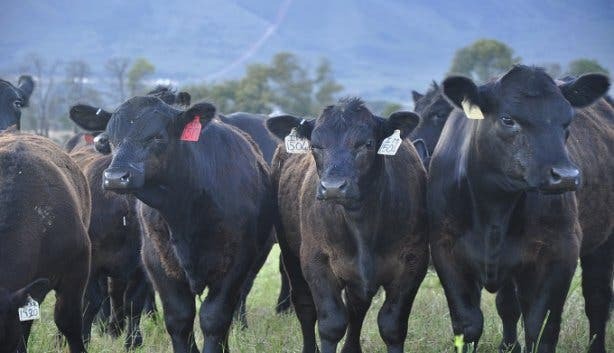 To date the farm has about 950 Aberdeen Angus beef, 200 hectares of fruit and vegetable crops planted behind The Werf restaurant which, along with the Boschendal shops, have been the main consumers of the produce, including pasture-raised chicken and eggs, as well as the recently added free-roaming pig herd and small flock of sheep. The well-functioning farm also supplies vegetables, chickens and eggs to upmarket retailers and hotels. 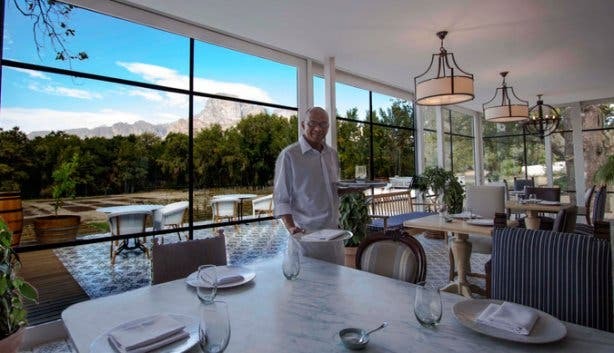 The wine farm’s vision statement only tells a very small part of the story: “Our dream is to make Boschendal a top agricultural farm; a sought-after producer of naturally produced farm to table food and wine; a farm where our natural environment thrives; and where our staff and communities prosper”. Boschendal has just swept up 12 awards at the 2016 Farmworker of the Year Awards, as well as being awarded with Biodiversity Conservation Champion status by the WWF, with diversity at its core at the Boschendal Wine Farm. Note: Boschendal is home to a range of spectacular venues, both new and old, that can be used for small and large functions. The most notable of these is The Olive Press a multifunctional centre – the only new building at Boschendal. This beautiful barn seats up to 350 people for events like weddings and conferences and a variety of other events. As Boschendal focuses on green energy, a 300kW solar installation is the forerunner of Boschendal’s green plans for the future. The Bill: Prices vary according to activities participated in, restaurants, meals, accommodation etc. Tip: Get in on the Boschendal Spa experience, which offers couple and one-on-one messages by well-experienced therapists, and a complimentary drink on arrival. 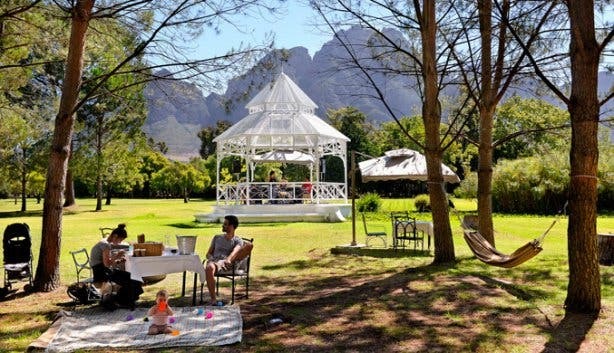 Rumour has it that Boschendal intends to take the massages outside to the garden. Experience an MTB race through the winelands with luxury accommodation on the Winelands Encounter. 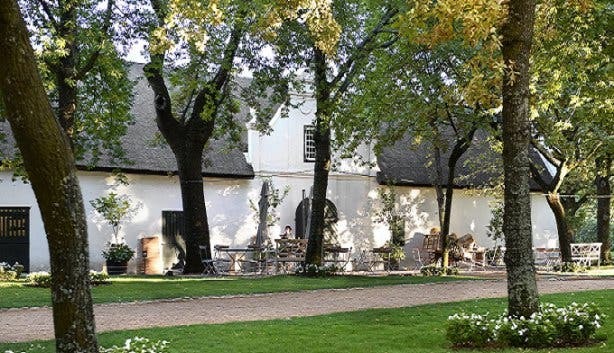 Looking for a place to rest your head in the Winelands? Read about a farm stay at Boschendal’s cottages. Also check out the Friday Night Market at Boschendal.